CRASH WITH INJURIES. TWO-AMBULANCE RESPONSE. NORTHBOUND MAIN ST BACKED UP. NEIGHBORS REPORTED FIRE IN THE BACK OF THE HOUSE. POLICE ARRIVED FIRST AND REPORTED A WORKING FIRE. FIRE CREW ON ARRIVAL REPORTS A HOT TUB ON A PATIO DECK ON FIRE. WATER ON THE FIRE BY 1:01 AM AND FIRE UNDER CONTROL BY 1:07 AM. CHECKED FOR EXTENSION AND FOUND NO EXTENSION. SECOND CALL (ABOUT 1:00 A.M.) FOR HOUSE FIRE WAS A HEATER THAT "LIT UP" ON A BACK PORCH OF A HOUSE IN THE 200 BLOCK OF SOUTH ELMWOOD AVE. FIREFIGHTER VENTILATED AND CHECKED FOR EXTENSION AND FOUND NO EXTENSION. SECURED HEATER. ARLINGTON HEIGHTS ENGINE AND TOWER MUTUAL AID FOR ELMWOOD AVE ADDRESS. STRUCK OUT ABOUT 4:09 PM. MABAS DIVISION 8 BOX ALARM ON BOX # 15 TO THE SECOND ALARM FOR A TECHNICAL RESCUE FOR A CORN BIN RESCUE. CREW ON ARRIVAL REPORTS. BC9 REPORTS A SMALL FIRE IN A BASEMENT 50X75 INVOLVING A COOKING STOVE. ONE LINE ON THE FIRE. BC9 REPORTS FIRE IS OUT, AND CHECKING FOR HOT SPOTS. SEARCHES NEGATIVE. CRASH WITH INJURIES. ROUTE 71 SHUT DOWN FOR ABOUT ONE HOUR. T45 ON ARRIVAL REPORTS WATER DEPARTMENT DIG CAUSED A GAS LEAK. BC21 IN COMMAND. MEDIUM PRESSURE 2-INCH MAIN BROKEN. BC21 STANDING BY WITH A LINE WHILE GAS COMPANY SETS UP A CREW. BC28 ON ARRIVAL REPORTS SINGLE-STORY MANUFACTURING 200X250 BANNER MANUFACTURES ORTHOPEDIC MEDICAL DEVICES. FIRE OUT OR NEARLY OUT ON ARRIVAL. EXTRA COMPANIES RELEASED ABOUT NOON. TERMINATED COMMAND BY 12:10 PM. S5 CREW ON ARRIVAL REPORTS A 2-STORY ORDINARY WITH SMOKE SHOWING. BC19 IN COMMAND REPORTS A 25X60 WITH ONE LINE FOR A FIRE ON THE SECOND FLOOR. FIRE IS OUT BY ABOUT 11:58 AM. CALLED IN AS 5636 S ASHLAND AVE.
HUMAN SERVICES FOR TWO ADULTS DISPLACED. L-2 PARKING GARAGE. E1 CREW ON ARRIVAL REPORTS NOTHING SHOWING. BC1 REPORTS AN AUTO FIRE IN THE LOWER LEVEL OF THE PARKING GARAGE AT 5:37 AM. BC1 REPORTS COMPANIES ON SCENE OF A 61-STORY FIRE-RESISTANT HIGH-RISE COMMERCIAL WITH A FIRE IN AN AUTO IN THE SECOND LOWER LEVEL PARKING GARAGE. FIRE EXTINGUISHED BY SPRINKLERS. FIREFIGHTERS VENTILATING AND SEARCHING L-2 -- SEARCHES NEGATIVE. E109 CREW ON ARRIVAL REPORTS A 2.5-STORY FRAME FULLY-INVOLVED. MAKING PROGRESS. BC14 IN COMMAND. CREW ON ARRIVAL REPORTS BC20 IN COMMAND REPORTS 25X50 2.5-STORY FRAME WITH A FIRE ON THE SECOND FLOOR. SEARCHES NEGATIVE. GROUND LADDERS SECTOR 1 AND MAIN TO THE ROOF. LEVEL 1 HAZMAT ON ORDERS OF ENG 50. LOCAL LANES COMPLETELY SHUT DOWN FOR A DIESEL SPILL. ABOUT 100 GALLONS DIESEL SPILLED. SEMI LOST ONE COMPLETE SADDLE TANK. E122 ON ARRIVAL REPORTS A LITTLE REKINDLE AND HOLDS UP THE SECOND COMPANIES AND THE CHIEF. FROZEN HYDRANT IN FRONT. T38 ON ARRIVAL REPORTS A STRONG SMELL OF GAS IN THE STREET WITH READINGS INSIDE THE APARTMENT BUILDING. BC10 IN COMMAND. ENG 82 CREW ON ARRIVAL REPORTS A FIRE. BC22 IN COMMAND REPORTS A 1.5-STORY FRAME TOWNHOME WITH A FIRE COMING FROM THE ROOF. FIRE IN THE ATTIC, MAIN TO THE ROOF, GROUND LADDERS IN THE FRONT, VACANT STRUCTURE CONNECTED TO TWO EXPOSURES. NO EXPOSURE PROBLEM AT THIS TIME. TWO LINES ON THE FIRE -- UNDER CONTROL AT 7:55 AM. SEARCHED NEGATIVE AT 7:59 AM. BC23 IN COMMAND REPORTS A CHICAGO-STYLE BUNGALOW FULLY-INVOLVED. BC 23 WANTS E72 TO LEAD OUT FROM THE WEST. THREE LINES ON THE FIRE. WORKING ON HOT SPOTS AT 12:59 AM. CHANGE OF QUARTERS: T50 TO T42 THEN CAN GO HOME. 121 AT 82'S QUARTERS. STRUCK OUT AT 1:06 AM. CREW ON ARRIVAL REPORTS BC 2 IS IN COMMAND FIRE ON THE SECOND FLOOR. AERIAL TO THE ROOF, TWO LINES ON THE FIRE. TRK 15 RAISING A LADDER IN SECTOR 3. 2-STORY ORDINARY, 25X75 ROOF IS OPEN. STRUCK OUT AT 7:28 PM. INTERIOR ATTACK FOR A 2-STORY HOUSE FIRE. FIRE EXTINGUISHED ABOUT 5:50 PM. APARTMENT FIRE IN A UNIT IN A 3-STORY APARTMENT BUILDING WITH A MANSARD ROOF. MUTUAL AID RESPONSE HELD UP AND/OR RETURNED. MABAS DIVISION 20 BOX ALARM ON BOX #100 FOR A STRUCTURE FIRE(HOUSE FIRE). REQUEST FOR STATE FIRE MARSHAL. Norwood Park fire on Gunnison St (VIDEO: Steve Redick). INVESTIGATOR'S BOX AND STATE FIRE MARSHAL TO THE SCENE. REPORT OF A DRYER FIRE WITH AN ACTIVATED POLICE ON ARRIVAL REPORT SMOKE. ENG 62 CREW ON ARRIVAL REPORTS 200X60 ONE-STORY NOTHING SHOWING FROM THE OUTSIDE. DRYER FIRE WITH EXTENSION INTO THE WALLS. STRUCK OUT AT 9:33 AM. BC 11 ON ARRIVAL REPORTS VEHICLE ON END OVER A POLE. AT LEAST TWO INJURED AND ONE TRAPPED. USING THE HURST TOOL ON A GMC ENVOY SUV. MALE, 28, DRIVER AND MALE, 39, PASSENGER TRANSPORTED TO RESURRECTION AND PRONOUNCED DEAD. EXTRICATED AT ABOUT 11:26 PM. BC9 REPORTS A FIRE IN THE BASEMENT THAT MOVED UP TO THE FIRST FLOOR. LOOKS LIKE A 4-STORY BRICK APARTMENT ON GOOGLE MAPS. STILL AND BOX ALARM AT 09:10 AM ON ORDERS OF BC9 TWO BIG HOLES RIGHT IN FRONT OF SECTOR 1 RIGHT INSIDE THE FIRST FLOOR DOORWAY. STRUCK OUT AT AT ABOUT 9:37 ON ORDERS OF 2-2-2. UPDATE: SEMI-TRAILER TRUCK CRASHED INTO IDOT HELP TRUCK AND ILLINOIS STATE POLICE SQUAD, CAUSING A FIRE IN THE CRASHED VEHICLES, THE DEATH OF THE TOLLWAY WORKER, CRITICAL INJURIES TO AN ILLINOIS STATE TROOPER, AND LESSER INJURIES TO AT LEAST ONE OTHER MOTORIST. EMERGENCY TRAFFIC FOR ILLINOIS STATE POLICE TROOPER HIT AND POSSIBLY A HELP TRUCK HIT WHILE ON MOTORIST ASSIST WITH A SEMI-TRAILER TRUCK. REPORT OF FIRE INVOLVED WITH THIS CRASH. ONE VICTIM -- AN ILLINOIS STATE POLICE TROOPER -- WAS TRANSPORTED TO LEVEL I TRAUMA CENTER ADVOCATE GOOD SAMARITAN HOSPITAL IN DOWNERS GROVE. ONE VICTIM -- WAS KILLED AT THE SCENE. A TRUCK DRIVER INVOLVED IN THE CRASH WAS INJURED, BUT WALKING AT THE SCENE. Illinois State police vehicle after crash and fire on I-88. STEEL COIL IN THE MIDDLE OF THE ROADWAY. HELP TRUCK SMASHED AGAINST SEMI-TRAILER TRUCK. THERE IS SOME CLARIFICATION IF THE HELP TRUCK WAS ACTUALLY HIT. POLICE INVESTIGATION IS UNDERWAY. EB I-88 WILL BE CLOSED FOR EXTENDED TIME ... ILLINOIS STATE POLICE SETTING UP DETOUR. CRASH WITH A PACE BUS IN A DITCH -- INITIALLY REPORTED AS A CRASH WITH POSSIBLE ENTRAPMENT. NO ENTRAPMENT. GENERAL ALARM STRUCK OUT ON ORDERS OF BC6 AT 8:32 PM. ELK GROVE VILLAGE FIRE STATION 8 FIREFIGHTERS ACROSS STREET FROM COM ED SUBSTATION REPORT SEVERE ARCING AND EXPLOSIONS. ARLINGTONCARDINAL OBSERVES CONTINUOUS ARCING UNTIL ABOUT 7:39 PM WITH ARCING STOPPED FOLLOWING EXPLOSION. VIDEO: Arcing substation near high-tension lines. SOME DEBRIS FROM EXPLOSIONS, BUT HAZARD CONFINED TO POWER SUBSTATION. POLICE REPORT NO POWER LINES DOWN. NUMEROUS FIRE ALARMS ACTIVATED EARLY, BUT NO MAJOR POWER OUTAGES REPORTED IN ELK GROVE VILLAGE. POLICE BLOCKED PERRIE DR NORTH NEAR THE AREA, AND POLICE BLOCKED SOUTHBOUND KENT AVE FROM OAKTON ST.
POLICE RESCUE: EVACUATED RESIDENTS UPON ARRIVAL OF FIREFIGHTERS. FIRE IN A 2.5 STORY BRICK APARTMENT HOUSE. ONE POLICE OFFICER TRANSPORTED TO LOYOLA UNIVERSITY MEDICAL CENTER, MAYWOOD. VICTIM TRANSPORTED TO MACNEAL HOSPITAL IN BERWYN. MABAS DIVISION 24 BOX ALARM ON BOX #1801 FOR A STRUCTURE FIRE (HOUSE FIRE) AT 12:32 PM. ROLLOVER EXTRICATION CRASH FOR A VEHICLE OVER THE ROUTE 21 BRIDGE OVERPASS AT ROUTE 120. ONE INJURY -- NOT CONFIRMED. FULLY-ENGULFED BUS FIRE MM 26.5. NO PASSENGERS ON BOARD AND DRIVER IS OFF THE BUS. INITIALLY REPORTED AS NEAR NORTH AVENUE. ACTUAL LOCATION JUST NORTH OF ILLINOIS PRAIRIE PATH. BUS ON SHOULDER WITH FLAMES ENCROACHING IN LANES 3 AND 2. LOMBARD FEEDING ADDISON WITH A WATER SUPPLY. CREW ON ARRIVAL REPORTS HEAVY SMOKE FROM A DETACHED GARAGE. JOHNSBURG RD SHUTDOWN BETWEEN SPRING GROVE RD AND CHAPEL HILL RD. CHANGE OF QUARTERS: FOX LAKE ENGINE, WONDER LAKE AMBULANCE. E46 CREW ON ARRIVAL REPORTS "WE HAVE A FIRE." BC24 REPORTS TWO-STORY ORDINARY RESIDENTIAL FIRE IN THE BEDROOM SECOND FLOOR WITH FIRE THROUGH THE ROOF. HORIZONTAL LOCAL VENTILATION. E46 WITH A LINE TO THE SECOND FLOOR. FIRE ON THE FIRST FLOOR OF BUILDING WITH COMMERCIAL SPACE ON THE FIRST FLOOR AND TWO-STORY MULTI-FAMILY UNITS ABOVE. CARPENTERSVILLE, CRYSTAL LAKE, FOX RIVER GROVE, AND HUNTLEY MUTUAL AID. ONE MALE/ADULT RECEIVED MINOR INJURIES AND WAS TRANSPORTED TO A LOCAL HOSPITAL. DOUBLE ROLLOVER CRASH WITH EXTRICATION. COAL CITY, DWIGHT MUTUAL AID. TRI-STATE JUST SOUTH OF TOWNLINE -- MULTIPLE CRASHES AROUND MM 22.5 WB AND EB. CRASH WITH INJURIES, JACKKNIFE TRUCK, AND A COMCAST VAN ON ITS SIDE. TRI-STATE ICE RINK: FIREFIGHTERS JUST WITNESSED THREE SEMIS CRASH ON I-94 NEAR ROUTE 64 NORTH OF ROUTE 60 WHILE WORKING ON OTHER PREVIOUS CRASHES. CRASH WITH EMERGENCY CHILDBIRTH. STATE POLICE FIND ABANDONED VEHICLE IN THE DITCH. NO WORD ON TRANSPORT. ON ARRIVAL A1 REQUESTS EMS PLAN 1. BC19 IN COMMAND. SHOOTING OCCURRED ABOUT 12:50 AM. FOUR VICTIMS TRANSPORTED TO LEVEL I TRAUMA CENTER STROGER/COOK COUNTY, WHERE ONE VICTIM WAS DOA. TWO TRANSPORTED TO PROVIDENT HOSPITAL. BC19 SECURES THE EMS PLAN 1 AT ABOUT 12:19 AM. THREE CODE RED TRANSPORTED TO STROGER -- A86, A8, AND A49. A1 IS TRIAGE. E38 CREW ON ARRIVAL REPORTS "WE GOT A FIRE IN THEIR SOMEWHERE ... I CAN SEE IT." BC14 REPORTS FIRE IN A 2-STORY ORDINARY 25X40. TWO LINES ON THE FIRE, LADDER SECTOR 1 AND SECTOR 2. TEN CHILDREN, SIX ADULTS DISPLACED. AMB EMS FC STANDBY AMB ? E23 CREW ON ARRIVAL REPORTS A POWER LINE DOWN. REQUESTING COM ED ASAP BECAUSE THE LINE IS ARCING ON A BUILDING -- ORDINARY CONSTRUCTION. BC4 REPORTS THEY ARE INVESTIGATING THE INSIDE OF THE BUILDING BECAUSE OF COMMON GROUND. RESCUE OF ELDERLY COUPLE OUT THE BACK OF THE BUILDING. BC4 CALLS FOR STREETS AND SANS, AND BUILDING DEPARTMENT -- "THE VAULTED SIDEWALK COLLAPSED AND BREACHED THE WALL OF THE BASEMENT INTO THIS BUILDING." TWO VEHICLE CRASH WITH A TOTAL OF SIX PATIENTS. AT LEAST THREE VICTIMS ARE REPORTED "CRITICAL" WITH AN ESTIMATED EXTRICATION TIME OF 30-45 MINUTES. FLIGHT FOR LIFE NOT FLYING TODAY. ONE CAR IN A DITCH AND A MINIVAN ROLLOVER. NB ROUTE 31 BLOCKED NEAR VIRGINIA RD. ROLLOVER SUV CRASH WITH INJURIES, CALLER REPORTS NO ENTRAPMENT IN THE EASTBOUND LANES OF ROOSEVELT ROAD. REPORT OF A SUV VS HOUSE CRASH ON ARRIVAL REPORTS EXTRICATION UNDERWAY. NWCDS/911 CENTER FAILS TO DISPATCH ENGINE CREW AND BATTALION CHIEF ON A VEHICLE VS HOUSE INCIDENT. ENG 2 GETS ON THE AIR AND IMMEDIATELY AND CALLS FOR ADDITION OF ENG 2 AND BC 1 TO THE CALL. ENG COMPANY FINDS GAS LINE AT RISK, SHUTS OF GAS AT THE METER, AND CALLS NICOR TO THE SCENE, WHILE CREWS GO TO WORK ON ~30-MINUTE EXTRICATION. WELL-INVOLVED MOBILE HOME/MANUFACTURED HOME 60X20. TANKER OPERATIONS FOR WATER SUPPLY. SUV VS POLE CRASH. ON ARRIVAL ENG 93 ORDERS AN EMS PLAN 1. NINE CHILDREN INJURED. UNDERAGE DRIVER LOST CONTROL OF LARGE SUV -- POSSIBLY A FORD EXPEDITION. CHILD, AGE 1, IN SERIOUS-TO-CRITICAL CONDITION TRANSPORTED TO A LOCAL HOSPITAL. EIGHT CHILDREN TRANSPORTED TO HOSPITALS RANGING IN FAIR-TO-CRITICAL CONDITION. EMS PLAN 1 SECURED AT ABOUT 10:22 AM. MABAS DIVISION 4 BOX ALARM ON BOX #22-14 FOR A STRUCTURE FIRE (TWO-STORY HOUSE). NO INJURIES REPORTED. TEMPERATURES WERE BELOW ZERO AT THE TIME OF THE FIRE. THREE-STORY BUILDING WITH RESTAURANT AND APARTMENTS. NOTHING SHOWING ON ARRIVAL, BUT CHASING SMOKE. BC 5 REPORTS FIRST FLOOR IS A RESTAURANT WITH SECOND AND THIRD FLOORS OCCUPIED, BUT EVACUATED. STRUCK OUT AT 4:50 AM. FIRE IN THE REAR WHEELS/BRAKES OF A TANKER TRUCK CONTAINING GASOLINE. INITIALLY FLAMES WERE SHOWING, THEN NO FLAMES SHOWING AT ABOUT 4:37 AM. CREW ON ARRIVAL REPORTS BC 13 A STORAGE BUILDING OUTSIDE THE MAIN BUILDING ON FIRE. WORKING FIRE RESPONSE CALLED OUT ABOUT 6:55 PM. OUTSIDE CORRUGATED SHED WITH 55 GALLON DRUMS ON FIRE. FIRE IS OUT AT ABOUT 6:58 PM. ENG 101 CREW ON ARRIVAL REPORTS "WE GOT SOME SMOKE." BC 18 IN COMMAND REPORTS 2-STORY ORDINARY FIRE ON THE FIRST FLOOR IN THE REAR. FIRE OUT AT ABOUT 6:02 PM. SEARCHES NEGATIVE. ALLEY GARAGE FIRE. BC 16 IN COMMAND. LEVEL I HAZMAT INVESTIGATION OF SYMPTOMS. ENG 10 ON SCENE. SQD 7 METERING THE BUILDING AFTER A FEW PEOPLE ARE REPORTING THROAT IRRITATION. FIVE TO EIGHT PEOPLE BEING EVALUATED. TRANSPORTS NOT LIKELY. CHINA AIRWAYS. CREW ON ARRIVAL REPORTS BC 20 REPORTS A SMALL FIRE IN THE BASEMENT. BC 20 IN COMMAND REPORTS WATER ON THE FIRE, TRUCK VENTILATING, BASEMENT FIRE. ONE TRANSPORTED WITH LIFE-THREATENING INJURIES/ADVANCED LIFE SUPPORT AT 4:47 PM TO LEVEL I TRAUMA CENTER ADVOCATE CHRIST MEDICAL CENTER. MABAS DIVISION 4 BOX ALARM ON BOX #14-48 FOR A STRUCTURE FIRE (MANSION LUXURY HOME FIRE). GARAGE FIRE WITH EXTENSION TO TOWNHOUSE. BC 5 REPORTS A TOWNHOUSE UNIT 75X200 LOOKS LIKE A FIRE. BC 5 REPORTS TWO LINES ON THE FIRE, PRIMARY SEARCH UNDERWAY, LADDER IN SECTOR 4, ROOF OPS UNDERWAY. FIRE UNDER CONTROL AT 3:35 PM. ENG 84 CREW ON ARRIVAL REPORTS SMOKE SHOWING FROM THE REAR OF A 3-STORY ORDINARY. BC 17 IN COMMAND AERIAL TO THE ROOF TWO LINES SEARCHES UNDERWAY. CHECKING FOR EXTENSION. FIRE IS KNOCKED AT ABOUT 2:39 PM. STRUCK OUT ABOUT 2:42 PM ON ORDERS OF 2-2-5. CHANGE OF QUARTERS: ENG 45 TO ENG 60. ENG 122 TO ENG 47. ENG 16 CREW ON ARRIVAL REPORTS 3-STORY OCCUPPIED ORDINARY CONSTRUCTION "WE HAVE A FIRE" BC 17 IN COMMAND. 3+1, 50X50 WITH A FIRE ON THE FIRST FLOOR AND BASEMENT. BC 17 REQUESTING A STEAMER TRUCK FROM THE WATER DEPARTMENT FOR HYDRANT PROBLEMS. TWO LINES ON THE FIRE MAKING PROGRESS AT ABOUT 12:44 AM. MAJORITY OF FIRE KNOCKED AT ABOUT 1:01 AM. STRUCK OUT AT ABOUT 1:03 ON ORDERS OF 2-2-5. BC 2 IN COMMAND FOR HIGH CO LEVELS IN THE COMMON AREA OF AN APARTMENT BUILDING. 200 PPM INITIALLY IN THE FURNACE ROOM, KNOCKED DOWN TO 25 PPM. BUILDING VENTED. HIGH LEVELS ONLY FOUND IN THE COMMON AREAS. BUILDING MAINTENANCE ON SCENE. LIFE-THREATENING INJURIES AND THREE VICTIMS EXTRICATED NEAR MM 118 REST STOP. MABAS DIVISION 21 REQUESTS A FULL STILL FOR A STRUCTURE FIRE (APARTMENT FIRE). BC 4 IN COMMAND. ONE INJURED AND AT LEAST 18 PEOPLE DISPLACED. STAGING AT 91ST AND HARLEM. ENG 122 ON ARRIVAL REPORTS HIGH CO LEVEL READINGS. STAGING AT 75TH ST AND VINCENNES. EXTRICATION CRASH WITH ONE DRIVER REQUIRING EXTRICATION. ONE FEMALE AND ONE MALE INJURED. MABAS DIVISION 22 BOX ALARM ON BOX # 2299 FOR A MULTIPLE-INJURY CRASH. STRUCK OUT AT ABOUT 5:00 PM. CREW ON ARRIVAL REPORTS BC 4 ON ARRIVAL REPORTS 2.5-STORY ORDINARY 25X40 OCCUPIED. ENG 109 TO THE REAR WITH THE DECK GUN. MAIN BODY OF FIRE UNDER CONTROL. FOUR VICTIMS TRANSPORTED TO PRESENCE MERCY MEDICAL CENTER IN AURORA. CREW ON ARRIVAL REPORTS THEY HAVE A FIRE IN A GARAGE. BC 13 IN COMMAND REPORTS 2-STORY ORDINARY APPARENTLY VACANT 25X40 WITH FIRE ON THE FIRST AND SECOND FLOOR. CALL CAME IN AS 15TH OR 16TH AND KEELER AVE. CREW ON ARRIVAL REPORTS SMOKE SHOWING FROM A TWO-STORY ORDINARY CAR WASH. BC 10 IN COMMAND REPORTS SMOKE SHOWING FROM A CAR WASH, 50X125. WHIPPLE AND IRVING PARK RD TRAFFIC BLOCKED FOR HOSES ACROSS IRVING PARK RD. EXTERIOR ATTACK AT 7:05 AM. CAR FIRE INSIDE CAR REPAIR SHOP. AGAIN CALLING FOR TRAFFIC CONTROL AT IRVING PARK RD AND WHIPPLE. FIRE UNDER CONTROL AT ABOUT 7:15 PM. AFTER FINDING TWO FROZEN HYDRANTS. STRUCK OUT AT ABOUT 7:20 AM. CLEARING UP VEHICLE(S) AT ABOUT 6:42 AM. MEETING AREA AT BROADVIEW STATION. FIREPLACE FIRE "OUT OF CONTROL" ... ROLLING MEADOWS FIREFIGHTERS REPORT FIRE IS UNDER CONTROL BY 7:15 PM. CHECKING FOR EXTENSION. CODE 3. MABAS DIVISION 11 BOX ALARM ON BOX #101 FOR A STRUCTURE FIRE (ABANDONED FACTORY). 160X550 FACTORY. VIDEO: Cicero vacant warehouse fire elevated to a Box Alarm to the 5th level. SPECIAL: CHICAGO HOSE WAGON 6-1-2 AND ENG 26 CONNECTING TO A CHICAGO HYDRANT AT ROOSEVELT AND 54TH ST.
MABAS 11: MABAS STRIKE FORCE REQUEST FOR FIVE ENGINES AND FIVE LADDER TRUCKS FROM MABAS 20 AT 8:27 PM. STAGING AT 16TH STREET AND LARAMIE. RESPONSE WAS LIMITED TO THREE ENGINES AND THREE LADDER TRUCKS. FOURTH ALARM OR 4-11 STRUCK OUT AT 1:14 AM. FIRE WAS STRUCK OUT WITH EXPECTATIONS OF RE-KINDLES. CHICAGO FIRE DEPARTMENT TRK 48 OPERATING A LADDER PIPE, WHILE CICERO FIREFIGHTERS AND MUTUAL AID FIREFIGHTERS WERE WORKING A SECOND 2-11 FIRE (3:59 AM) FOR AN APARTMENT FIRE AT 50TH CT NEAR 14TH ST.
SECOND AMBULANCE TO THE SCENE FOR THE CTA TRAIN OPERATOR AT ABOUT 9:13 AM (AMB 32 RESPONDING TO THE LOGAN ST ENTRANCE). TRAIN OPERATOR CODE GREEN. VICTIM REMOVED ABOUT 9:14 AM TO AMB 44. ENG 116 CREW ON ARRIVAL REPORTS A FIRE IN A 1.5-STORY FRAME. ENG 116 HAS A DECK GUN RUNNING IN SECTOR 1. BC19 IN COMMAND REPORTS A BAD HYDRANT. ENG 123 FEEDING ENG 116. BC 19 ALSO REPORTS A 20X40 WITH AN EXPOSURE PROBLEM. INITIALLY REPORTED AS 5939 WOLCOTT AVE.
NO FIRE IN EXPOSURE BUILDING. SEARCHES NEGATIVE. THIRD ENGINE TAKES A LINE OFF ENG 116. MABAS DIVISION 4 BOX ALARM ON BOX #52 FOR A STRUCTURE FIRE. FULLY-INVOLVED RANCH HOUSE WITH TWO PEOPLE EVACUATED FROM THE HOUSE. FIRST ENGINE HITTING THE SECOND FLOOR WITH A DECK GUN ON A FULLY-INVOLVED HOUSE FIRE. POSSIBLY ONE MALE VICTIM INJURED WITH BURN INJURIES -- AMBULANCE TO THE FRONT. VIDEO: House fire on Clarice Avenue (VIDEO CREDIT: Larry Shapiro). Fire in Buffalo Grove/Prairie Grove/Lincolnshire area. TWO EXTRA AMBULANCES REQUESTED TO THE SCENE AT ABOUT 11:11 PM. STRUCK OUT ABOUT 12:30 AM. GAS LINE CONTINUED TO BURN UNTIL JUST BEFORE 12:30 AM. STILL AND BOX EMS PLAN 1 FOR A BOEING 737 ON ARRIVAL WITH A SMOKE DETECTOR ACTIVATED. RUNWAY 4. STAGING: STAGING AREA C AT ENG 127 QUARTERS. CALLER REPORTING AN EXPLOSION NO FIRE SMOKE SHOWING ... THEN SMOKE SHOWING. CREWS REPORTING A HEADER VISIBLE DURING RESPONSE. ON ARRIVAL REPORTS. FIRE OUT AT ABOUT 11:58 AM. BC 4 ON ARRIVAL REPORTS A MINIVAN ON ITS SIDE, AND AN SUV INVOLVED IN A CRASH. THREE-AMBULANCE RESPONSE. EXTRICATION UNDERWAY -- THREE VICTIMS. EMS: AMB 25, AMB 26 AND ? ONE-VEHICLE ROLLOVER CRASH WITH INJURIES NORTH OF WALKER DR. VICTIM FOUND IN DRAINAGE DITCH AFTER BEING HIT BY A 2002 CHEVY CAVALIER ON THE NORTHBOUND SIDE OF GREENWOOD AVE. THE CAVALIER WAS ALSO IN THE DRAINAGE DITCH ON NORTHBOUND SIDE OF GREENWOOD AVE. MALE, AGE 18, DRIVER AND FEMALE, AGE 18, PASSENGER. 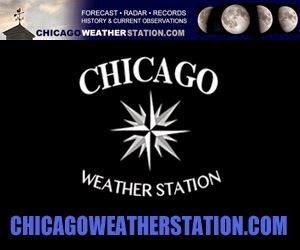 SNOW OBSERVED BEGINNING AT 2:52 PM AT CHICAGO EXECUTIVE AIRPORT. JANINA KASTERNEK, OF THE 8500 BLOCK OF NORTH MILWAUKEE AVENUE, NILES TRANSPORTED TO LEVEL I TRAUMA CENTER ADVOCATE HOSPITAL AND PRONOUNCED DEAD ABOUT NOON.